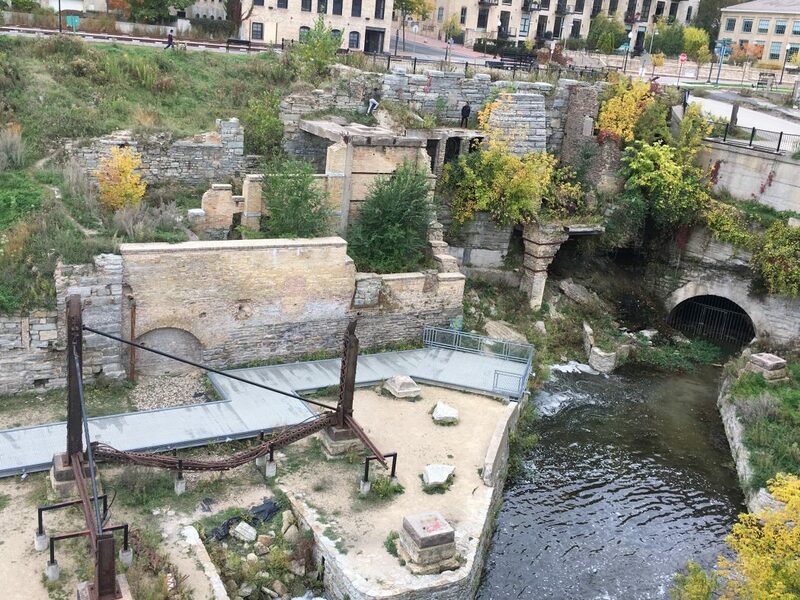 The Mill Ruins in the St. Anthony Falls Heritage Zone, Minneapolis. 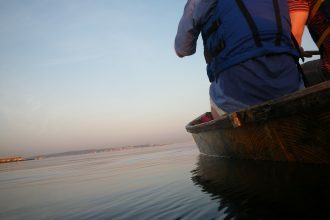 Image courtesy of River Life, University of Minnesota. What do you think about when you think about inclusion? Is it a matter of diversity? Come one, come all? Is it someone else’s problem to worry about? Inclusion is something I spend a lot of time thinking about and have over the course of my career. Being aware of inclusion also means being aware of limitations—your own, others, gaps of knowledge, and how to create an environment of being welcome. I consider this at the heart of the various careers I have had—directing a national AmeriCorps program in community organizing; working in sustainability in the U.S., India, and China; and in my current role at the Institute for Advanced Study (IAS) at the University of Minnesota. The scale and scope of what inclusive means has been different in each role but has been the driving force in why I have felt connected to each role I have taken. In April 2017, the IAS and the Minnesota Historical Society presented a panel of Native people discussing “Indian Rights and Law” related to water issues. We record almost every program that we have (with the speaker’s permission) and make them available via our YouTube channel (and the University Libraries Media Archive). Many of these videos follow the format of our events: they are about 90 minutes long (around an hour of presentation, followed by around 30 minutes of Q&A). As we are aware, a 90-minute video is really long. That is too long for most people to watch unless it’s a topic or speaker that they are particularly interested in. So how do you make that content available to someone who won’t spend 90 minutes watching the video, but is still interested in the content? This is where we get into issues of primary source. We have an extensive video library and have worked with faculty members who have classes of students taking these lengthy presentations, as well as video interviews, and making them into short (2-3 minutes) video segments—a snippet of the topic that can lead to potentially more interest in the longer primary source. We have also started investing in captioning IAS videos in an effort to be inclusive. When we pay to have our videos captioned, we spend a few more dollars to have a transcript made of the presentation and make that available. This is another primary source document that is freely available; it may be a resource to a student writing a paper on resilience, or to the local newspaper reporter who wants to cite a speaker who presented with us. This kind of interest was apparent after we hosted a panel discussion with three local experts on “Resilience,” with two faculty members and a local government official this past winter. The discussion explored the various ways we think about resilience, as more than just a question on sustainability. With a transcript available, you don’t have to search through to a particular minute on the video. Instead, you can scan the PDF document to see what was said. Note: To display the captions, click the small “CC” button that appears in the lower right-hand corner if you click on the video. For me, these decisions come down to questions of who your intended audience is and what your goals are. If our goal is to be inclusive so everyone has access, then captioning is necessary. If you want these events to have a life beyond the audience in the room when they happen, recording them is required. And then you need to take the next steps—to think through what your audience’s needs are, and how you meet them where they are. How can these be a teaching opportunity for students (e.g., to learn video editing technology, or to learn how to cull an argument down to its most salient points via quotes from a PDF document or segments of video clips)? How does this work give these documents new life and new audiences? How does it broaden the audience for the IAS? 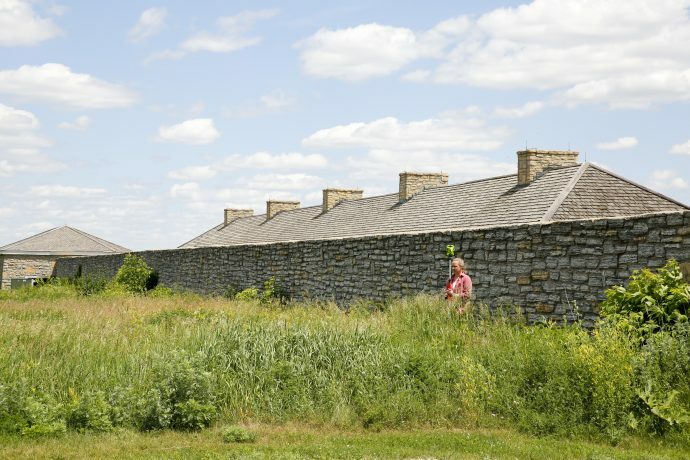 How does it help the University of Minnesota meet its educational goals, and its obligations as a land-grant institution called to serve the public of the state? The questions I am left with are questions of what our responsibilities and obligations are, as well as what our opportunities are. I think creating videos, and then using our resources carefully to caption and create transcripts allow us to better serve the university community and the greater public. It makes the university’s investment in our programming go further, and creates learning opportunities for students, as well as makes our programming accessible to those who are deaf, hard of hearing, or simply prefer not to watch lengthy videos (I will admit to being in that last category). We haven’t totally met our own standards yet. We are slowly building our collection (we have almost all of our events recorded, but we have only just started creating transcripts and captioning for our videos). We are making progress and are excited about the opportunities that this is creating—opportunities that we hadn’t thought about before we started this. Building a library of resources and finding themes across years of work allows us to serve even more people. This can be done through creating more “discoverable” resources related to issues of water, as well as examining issues of equity and justice. These are all important themes to the work of the IAS, and how we can bring people together now and in the future. Menning, Brianna. 2018. 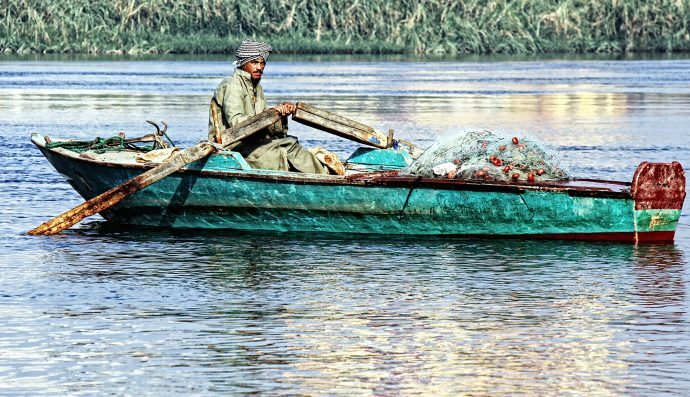 “Water as a Space for Inclusion.” Open Rivers: Rethinking Water, Place & Community, no. 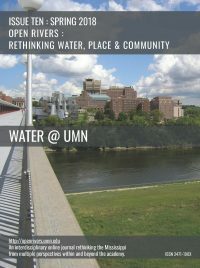 10. http://editions.lib.umn.edu/openrivers/article/water-as-a-space-for-inclusion/. Download PDF of Water as a Space for Inclusion by Brianna Menning. Brianna Menning is the Programs and Communications Manager at the Institute for Advanced Study, where she has fun plotting interdisciplinary programs and projects. Born and raised in Minnesota, she loves spending time in the outdoors near water with her husband and daughter. She is very interested in issues of equity and access, broadly speaking.